A sharp bowling performance from Kolkata Knight Riders followed by Yusuf Pathan's blazing cameo ensured Rising Pune Supergiants, in their debut season, were the first team to be knocked out of IPL 2016. 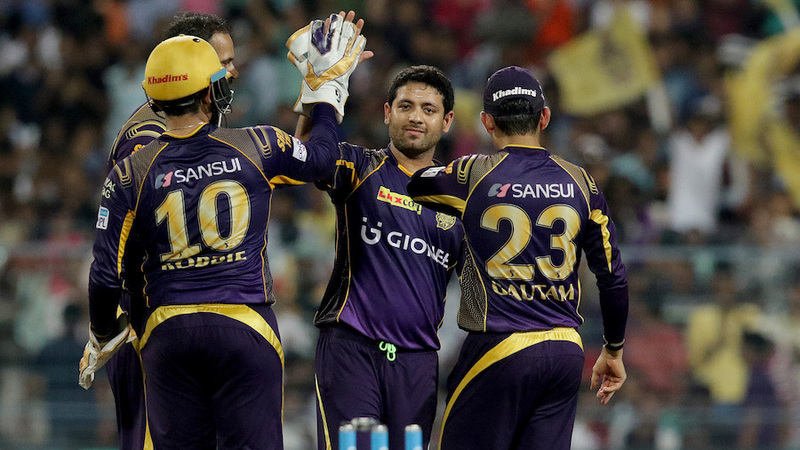 The eight-wicket victory, in a rain-hit game at Eden Gardens, meant that Knight Riders moved to second place on the points table. It was a clinical performance from the hosts. Andre Russell and Morne Morkel thrived in the Powerplay, while the amount of turn Piyush Chawla and Sunil Narine got left the Supergiants batsmen dizzy in the middle overs. Heavy rain interrupted the game with MS Dhoni on 8 off 22 balls and his team at 103 for 6 in 17.4 overs.